Pittsburgh police will soon carry a potent, yet simple nasal spray that can bring a person suffering an opioid overdose back from the brink of death and without a high. Naloxone, the overdose antidote, has been widely promoted by public health officials, and even some school districts, as a way to slow the deadly toll of painkillers and heroin. Police here haven’t been equipped, even as the city has fielded calls from as high up as the White House, asking why that’s the case, since the region is among the hardest hit in the nation by opioid deaths. “I don’t want to delay it any further,” said Pittsburgh Public Safety Director Wendell Hissrich, explaining that some officers will start carrying the antidote in May, though the program will be phased in over several months. Pittsburgh is joining police departments like nearby Pitcairn — which has saved several lives with naloxone and began training with it before the September 2014 state law authorized its use — and Philadelphia, which has trained more than 1,000 officers in a year and recorded more than 120 overdose reversals. More than 750 additional reversals have been reported by police statewide. In Pittsburgh, where ambulances and fire trucks are already equipped with naloxone, there’s also the friction that comes with asking police to add responsibilities that go beyond their definition of law enforcement. “You have to show me first that the paramedics can‘t get their job done,” Robert Swartzwelder, president of the Fraternal Order of Police in Pittsburgh, told PublicSource, citing concerns over expanding duties and the distraction of extra training. Who should save a life? Nineteen months ago, Pennsylvania lawmakers gave police and first responders explicit authority to administer naloxone, also known by the brand name Narcan. The law took nearly a year to pass, after more than two dozen states had already expanded access. Naloxone has existed for more than 50 years, but the state’s police and non-paramedic first responders weren’t carrying. That meant waiting for the ambulance, even as an overdose victim turns blue, lying on the ground while heroin shuts down their breathing and stops their heartbeat. In 2014, the state had roughly 2,500 drug overdose deaths, largely linked to heroin and opioid painkillers. Last year, 246 people in Allegheny County died from heroin or opioid overdoses. Heroin-related deaths alone spiked 46 percent from 2014, according to the county. Gowans, who is also a paramedic in Monroeville, said a reversal in late April would’ve probably been a fatality if he didn’t have. A spoon and syringe were found at the scene, Gowans said, and a 25-year-old man was on the floor, his face already turning grayish blue. “There was a good possibility his heart may have stopped,” said Gowans, who administered naloxone through a nasal spray. Naloxone can also be administered as an injection. In October, a statewide order authorized anyone in the commonwealth to buy naloxone if they think they might stop an overdose. The intent of that order, and a May 2015 standing order in Allegheny County, is to get the antidote to regular citizens who might be first at a scene, including family, friends, and other drug users. 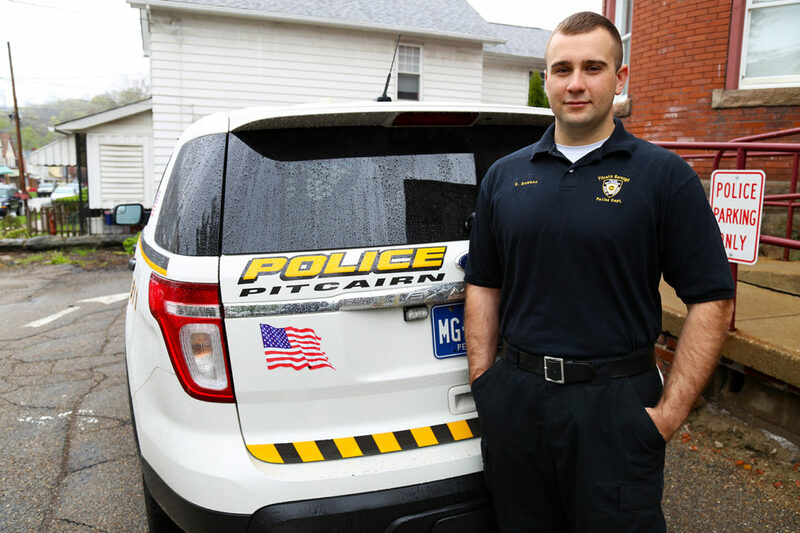 Pitcairn was the first police department in Western Pennsylvania to carry; they were trained in August 2014. Other departments have felt less urgency. Last summer, a survey completed by about half of the state's departments found that 82 percent of departments weren’t equipped. About a quarter of departments, however, said that they planned to start soon. In the previous year, the departments that responded reported a total of 579 overdose fatalities, according to the report, which does not include statistics from Philadelphia and Pittsburgh. It’s an inexact, partial figure. Reporting by police is voluntary, so a full count of departments that carry is difficult to determine. Data from the state’s Department of Drug and Alcohol Programs show that police continue to lag. Public safety officials explain that naloxone is already available through fast-responding paramedics and firefighters. Stephen Bucar, who left Pittsburgh as public safety director for the Pennsylvania State Police in October, said the city’s public safety leaders and a medical advisor had discussed expanding naloxone beyond paramedics. City fire trucks were newly equipped under the state authorization, but after evaluating costs and response times, the city decided that giving police naloxone would cost many thousands of dollars without getting the antidote to a scene much faster. “We didn’t have any statistics to show that because the ambulance didn’t get there in time that anyone had died,” Bucar told PublicSource, saying the city hadn’t previously kept track. Pittsburgh did not look to Philadelphia, Bucar said, where police began carrying naloxone more than a year ago and stopped several overdoses in a matter of weeks. When Hissrich took over in January, he made equipping police with the antidote a priority, though creating and vetting the policy has taken months, he said, and training will take time. Public Safety Spokeswoman Emily Schaffer said each of Pittsburgh’s six police zones will be equipped with five naloxone kits later this month. 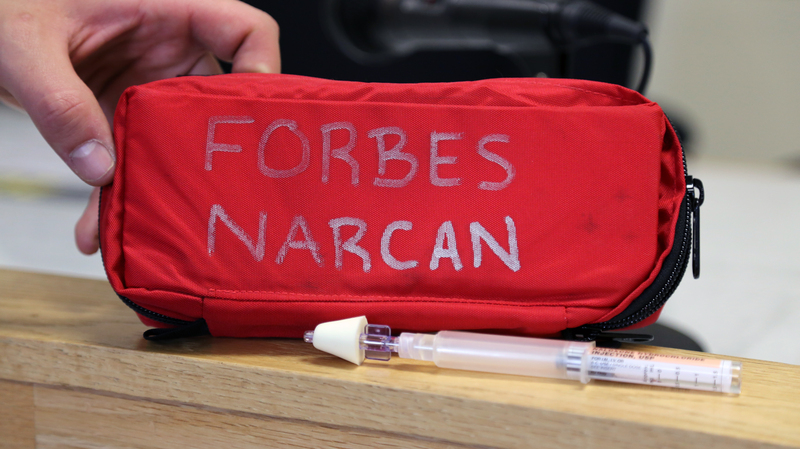 While other police departments have used grant money to buy naloxone, the city will buy its own kits, Hissrich said, though he did not have information on cost. Ensuring officer safety is a primary concern, Hissrich said, and he wanted the police union to be happy with the procedure. The union president, however, said he hadn’t been asked about naloxone. Swartzwelder was elected president of the city’s Fraternal Order of Police lodge in March and said he is concerned that police are being asked to do the job of paramedics and law enforcement. He was unaware that naloxone has already been widely promoted by the county and the state for use by the general public. In O’Hara Township, right across the Allegheny River, police Superintendent James Farringer said his officers don’t need naloxone. Medics typically arrive at scenes before police, he said, or soon after. Based on the existing speed of service, he decided naloxone isn’t right for his officers. Braddock came to a similar conclusion, though Chief Frank DeBartolo said the city is still evaluating. Homestead isn’t carrying, and many other departments in the region have either decided against naloxone or are still putting programs in place, which has slowed the rollout. Farringer also said naloxone is susceptible to hot and cold temperatures, which could be an issue if left in a patrol car. “For each individual officer to be carrying it, it can be a logistical nightmare,” he said. Leadership of several departments explained that kits needed to be stored properly but touted naloxone’s ability to save lives. In Aspinwall, the borough adjacent to O’Hara, carrying naloxone is seen as a best practice, according to Chief David Caplan. Shortly after being equipped earlier this year, an Aspinwall officer reversed two overdoses in a single call while assisting Sharpsburg police. The victim of the first overdose, after being revived, gave the address of another person she thought might also be in danger. That individual was located and revived. Fox Chapel, immediately to the north, is planning to carry soon, though Chief David Laux said it will still be a few months before officers are trained. “What we would never want to do is basically have an officer standing around while someone is dying and not taking an active hand in trying to save their life,” said Laux, who is president of the Western Pennsylvania Chiefs’ of Police Association. Statewide, police are credited with at least 880 overdose reversals since late 2014, with the majority clustered in eastern Pennsylvania. In Pitcairn, Gowans' April reversal is one of about a dozen by police in the .5-square-mile borough. It’s his second save as an officer, not counting additional reversals as a paramedic. When Pitcairn began training, Gowans said some officers were uncomfortable with the new role. But then they started seeing how the nasal spray saved lives.